Solo travel is more popular now than ever before. The stigma of being alone on your holiday has disappeared and in its place is a scattering of other single travellers all doing the same. 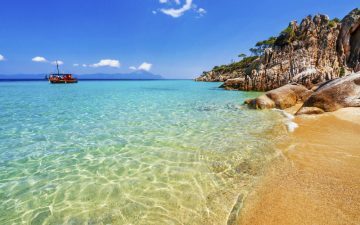 Holidays to Kos offer a safe and interesting arena in which to take your solo holiday. Kos, like much of Greece, has a wide variety of sights, experiences and activities on offer. And if you want to chill out by the pool or beach for the whole of your stay, Kos can deliver that too. 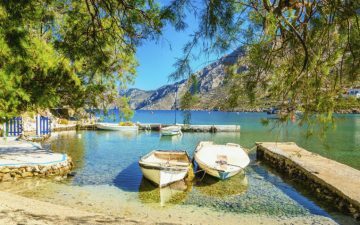 Whatever you want to do on your trip to this fantastic Greek island, you’ll find company is never far away and, if you prefer it, peace and alone time is easy to find. 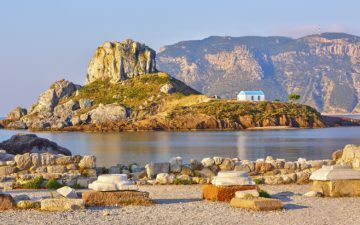 Kos is dominated by the high summer temperatures and lazy island life. Floating in the Aegean Sea close to the shores of Turkey, Kos is a Greek island of history and beautiful scenery. You can easily work your way around on local transport and Kos locals are very friendly and helpful, but most solo travellers choose to stick with an organised trip to get the most out of sight-seeing. is a popular guided trip to the open mouth of this natural wonder. A bus takes you up to the summit where you can look in on the live crater, feel the heat and smell the active gases bubbling away up there. On the way back down you can visit the hill village, where inhabitants live their lives in astounding close proximity to the active volcano. This is a pretty little Greek village with amazing views from the hillside. is a polar opposite to the volcano trip and another popular organised tour. There’s a ruined castle in the town and a plethora of other historical sites, mostly military which reflects the island’s history of conflict and its use as a military base. But the main focus of the Kos Town trip is on shopping. This is where you can browse the market and dip in and out of the many boutiques and independent sellers here. If you like shopping alone you can take yourself off for some quiet retail time, but many solo travellers appreciate being in a group for this as they can share the experience and chat about their purchases. When it comes to eating and drinking, many travellers considering going solo for the first time may find this is an issue they’re a little concerned about. But today’s solo travellers can look forward to eating and drinking being social events of the holiday. With many like-minded people all on the same holiday and some of them also travelling alone, lunch and dinner can be a pleasure and a chance to make new friends. You’ll find that food and drink are the greatest uniting factors there are and on days when you wish to dine alone, there’s plenty of room for that too. Holidays to Kos are a gift to the solo traveller. If you’ve never travelled alone before, this is a fantastic place to start. The Greek islanders are welcoming and friendly and the island is a safe place to be as a single person. You’ll find help when you need it and as much peace and solitude as you desire. If you’re going to Kos with the hope of socialising and making new friends, it could also be the ideal place. Fellow travellers and locals alike are a sociable bunch and you’re unlikely to feel alone. But if quiet is what you want, this stunning island has all the peace and relaxation you could hope for.